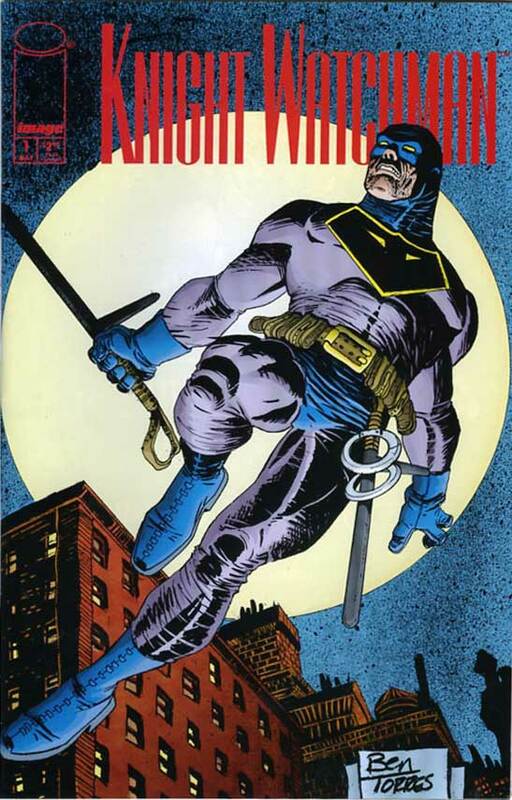 Welcome to one of my own personal favorites out of every comic I’ve ever written and or published: Knight Watchman: Graveyard Shift #4. Written by Chris Ecker and myself, with covers and art by Ben Torres, I just think it’s great. It is the conclusion of our “Dark Night Returns” meets “Sin City” storyline. Ben’s art is superb throughout and contains a number of tips of the hat to Frank Miller’s fantastic works. 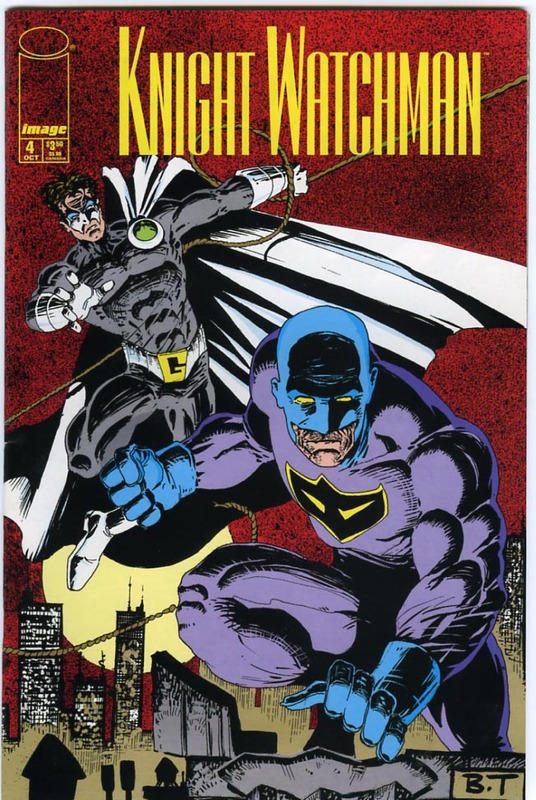 Knight Watchman: Graveyard Shift #3 by Chris Ecker, Ben Torres and myself hit the comic book stands around August of 1998, about three years after issue #2 had been published by Caliber Press. During that time, Big Bang Comics had moved to our new publisher Image Comics and had to establish ourselves. Graveyard Shift #s 1 and 2 had been reissued by Image (with new back-up material) so our new, larger audience wouldn’t have to go hunting for them. 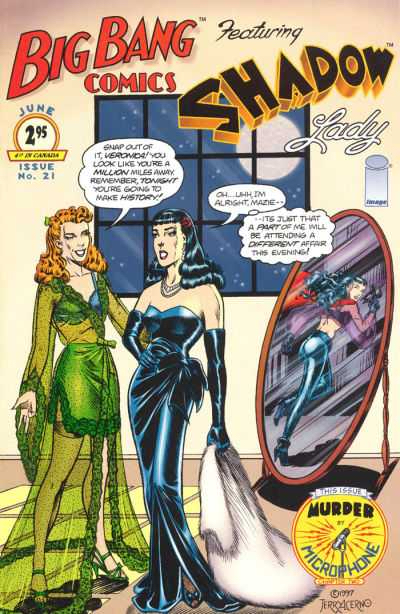 The inside front cover of issue 3 featured a recap of the story from the first two, along with a Who’s Who roster of the main characters. 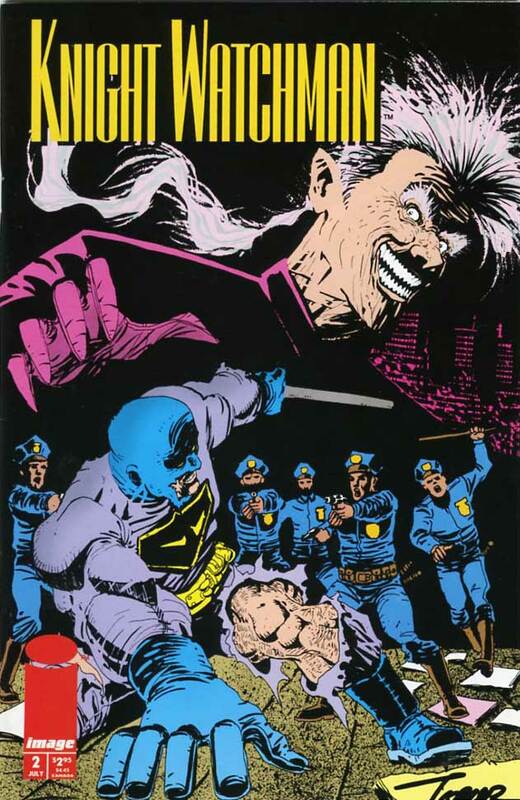 I am as proud of the four part Knight Watchman: Graveyard Shift saga as anything else I have written or been a part of in the comic book industry. KW:GS was a collaboration between Chris Ecker, Ben Torres and myself. I may be wrong, but I believe that my scripting contribution, especially here in part 2, was mostly in the Galahad sections. The last episode of this blog was about Big Bang Comics #20, but instead of moving on to the next issue, it’s time to play a little “catch up”. 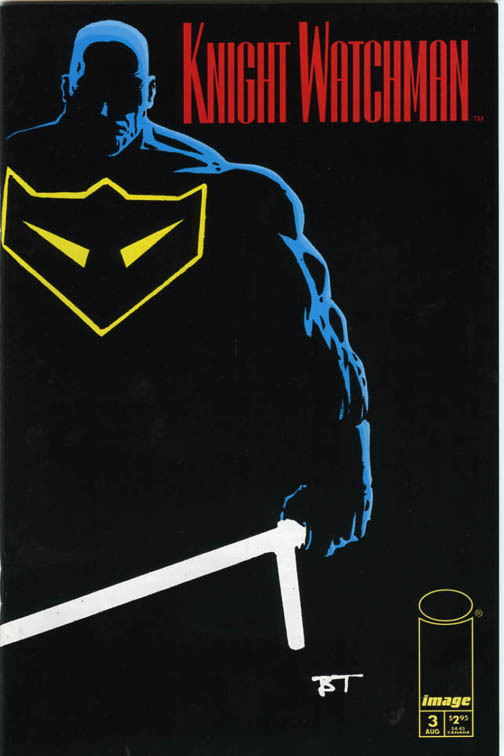 If you recall, Big Bang started out as a series of back-up stories in my Berzerker comic book, published by Gauntlet Comics/Caliber Press starting in 1993. (If you don’t recall, you can go back to earlier BANG blogs #s 4 through 15 and read all about the good old days).